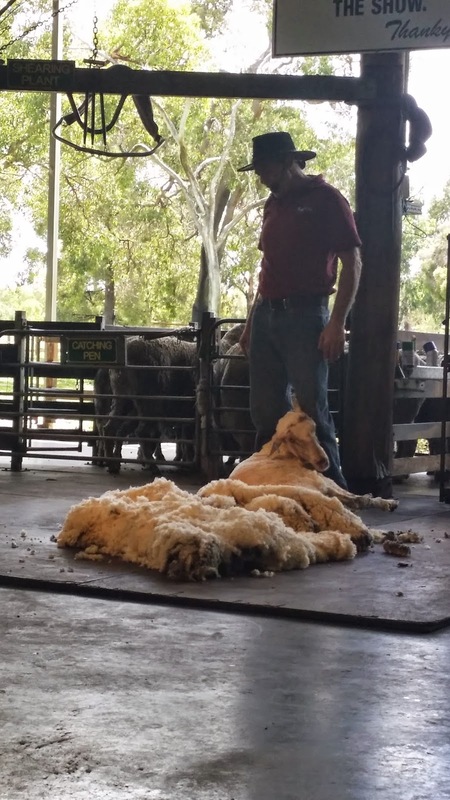 Sheep shearing demonstration at the Farm Show. 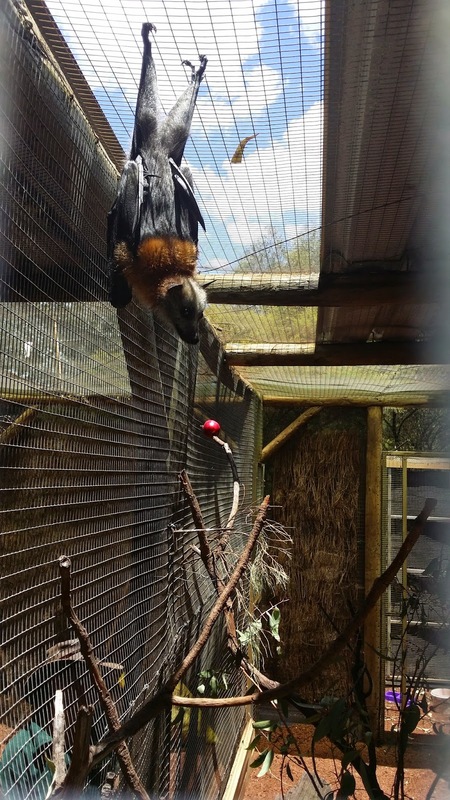 We visited Caversham Wildlife Park in 2011, but some activities never grow old for city kids like our girls. 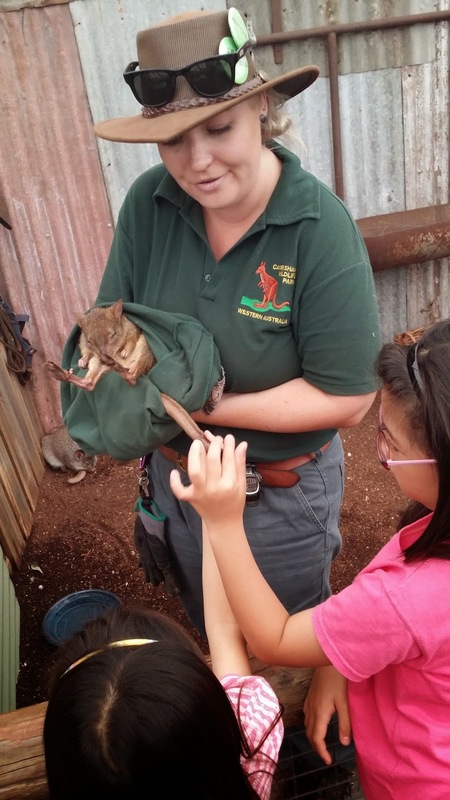 One such activity is feeding free-ranging kangaroos and touching ‘cute’ animals such as koalas and wombats. Although the younger girl had limited memories of her last visit here, she was convinced quickly that this was worth another visit after seeing the pictures on the publicity flyers. The last time we were here in 2011, the younger one was still small enough to feel intimidated by the large kangaroos! Throwback to 2011 - a picnic at Caversham Wildlife Park. 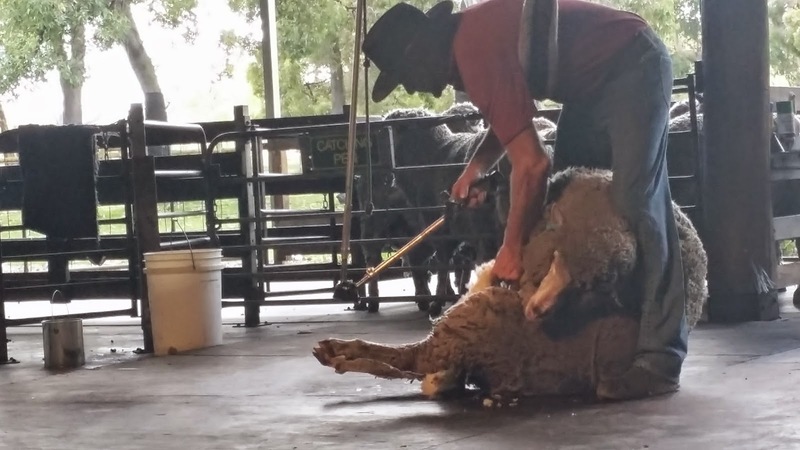 We parked our car and got a family admission just in time to get a front row seat at the farm show, with the sheep-shearing demonstration being extremely popular among visitors to the park. 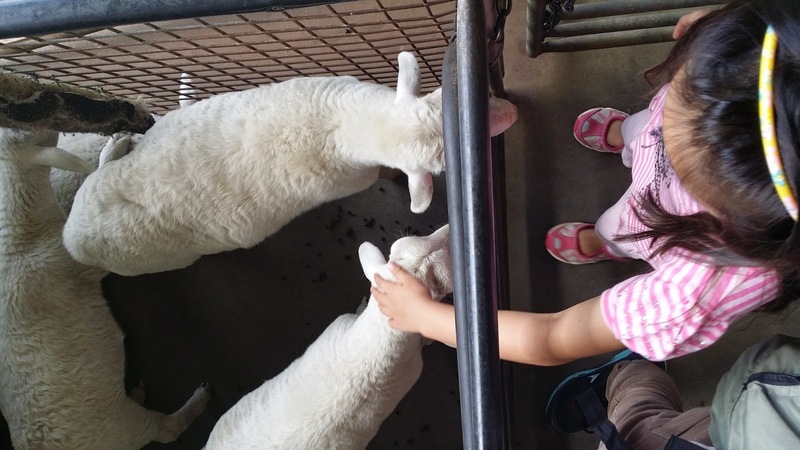 Among many other interesting and interactive performances, Daddy got selected to ‘swing the Billy’ and K got chosen as one of the few children to bottle-feed the energetic lambs. 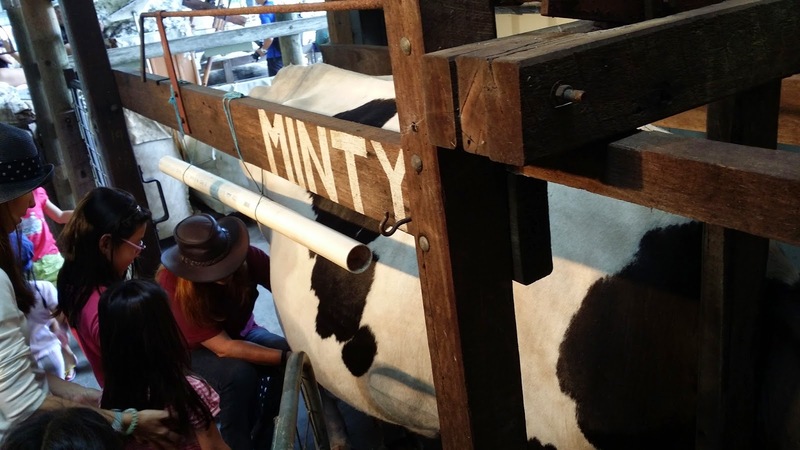 We all had a chance to milk Brenda the cow before we left to catch the Wombat and Friends show. Daddy gets a chance to 'swing the Billy', a practical way to force the tea leaves to the bottom of the tea pot, or 'Billy'. All done with the 'haircut'. 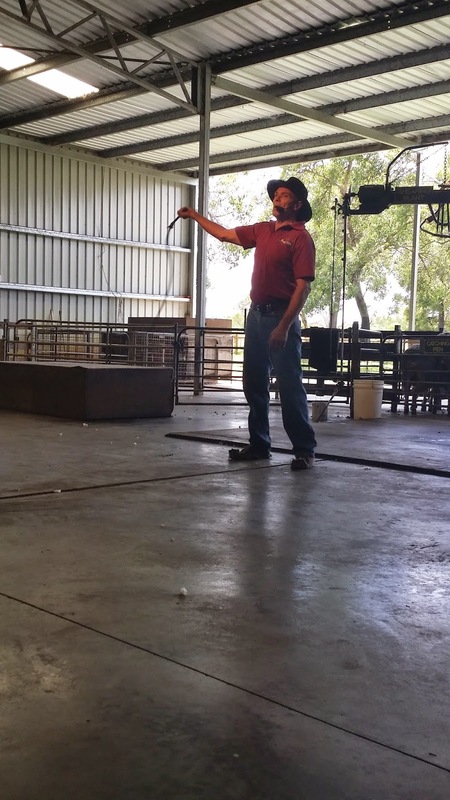 Our host demonstrates how to crack the whip. 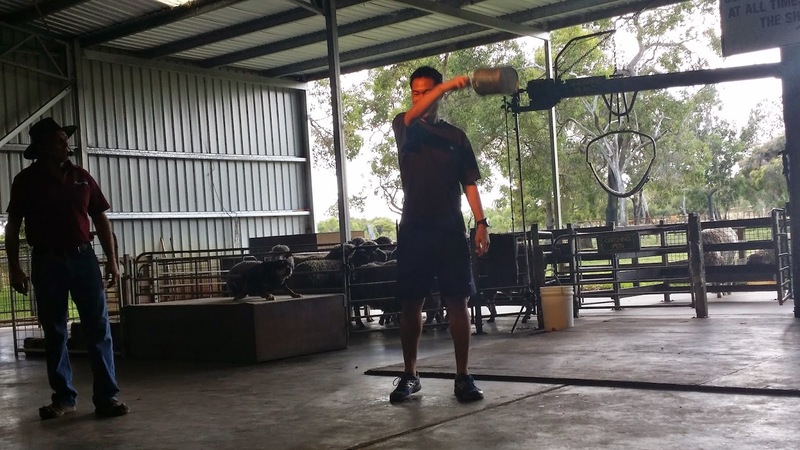 We learnt that the whip is used by the stockman to get the attention of the sheep with its loud sonic boom, and not used to inflict pain or harm. 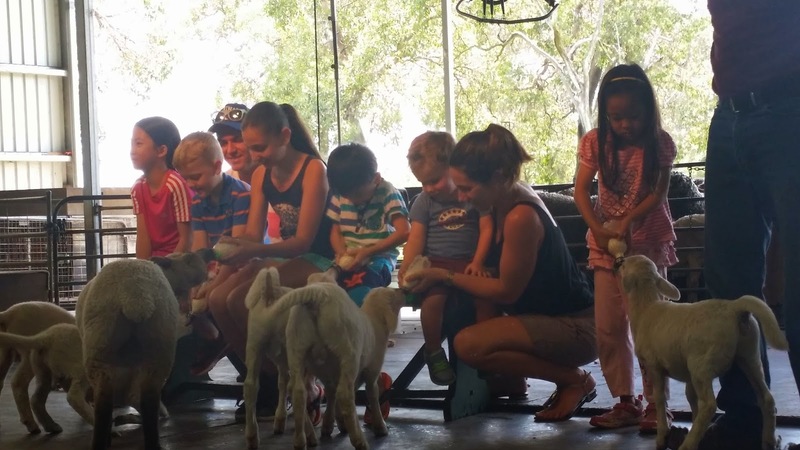 Bottle feeding of the adorable lambs was a nice way to end the show. Everyone is queuing up to milk the cow. The cow's name is Brenda. 'Minty' has retired. K sneaks in another chance to touch the lambs before we leave. The star at the Homestead was of course the hairy-nosed wombat. 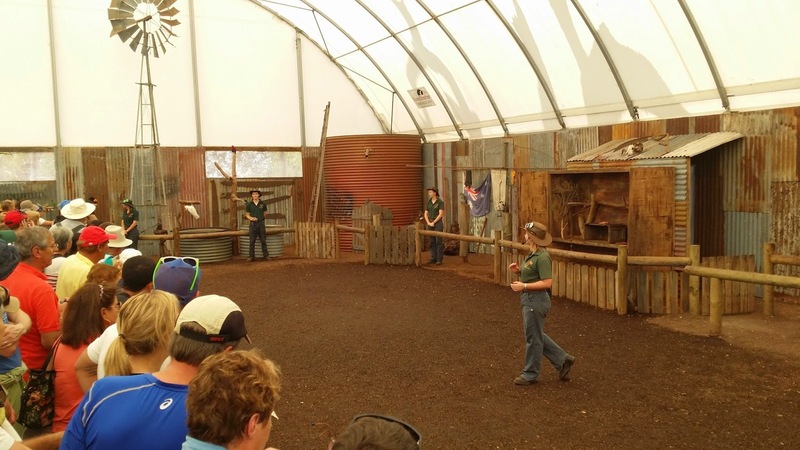 The keepers introduced the other animals that visitors would have a chance to interact and take photos with, including predatory birds, reptiles, and small marsupials. 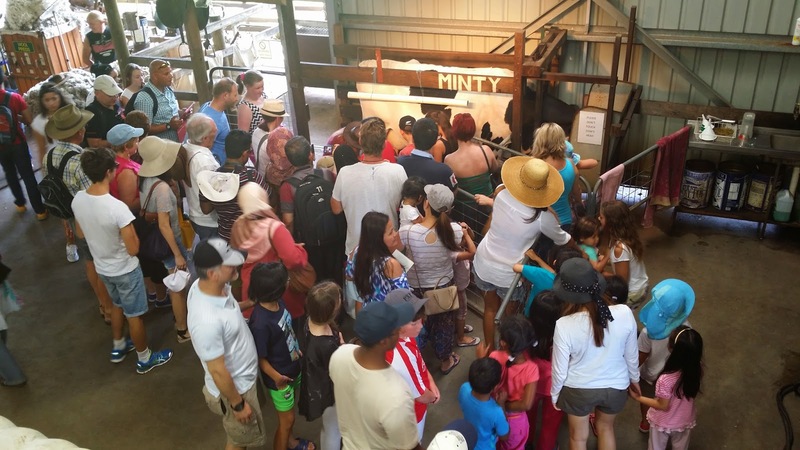 After a round of introductions, the crowd was allowed to mingle with the animals at the various stations, and the enthusiastic keepers fed the visitors with interesting information about their animals, and assisted with photographs. The girls actually loved the snake so much that we had to wait in line twice, to take photo with the snake and of course, touched it. Our host introduces the stars of the show. Visitors are allowed to get up close to the animals. This Betong is small and adorable, but it is a full grown adult. 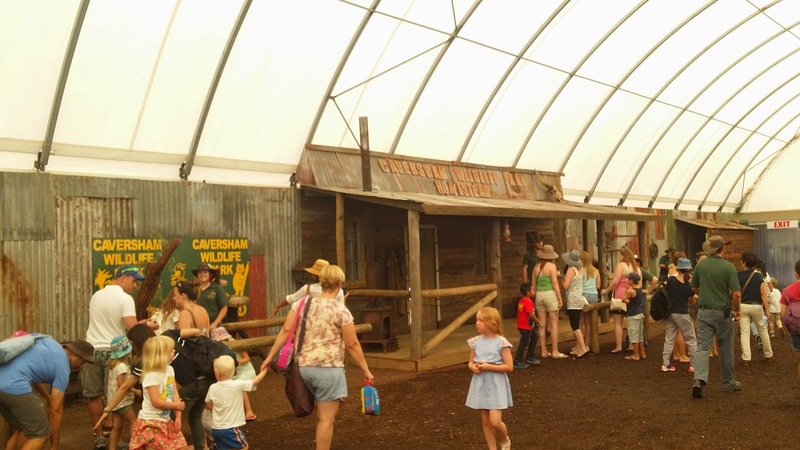 After we got our picture with the hairy-nosed wombat and extra visits to some of the smaller animals, we left the Homestead and continued our visit to the various animal enclosures around the park. 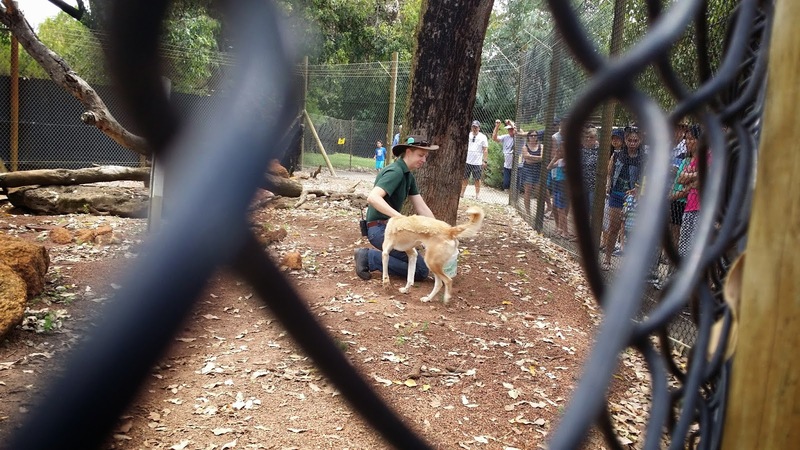 A keeper in the Dingo enclosure. 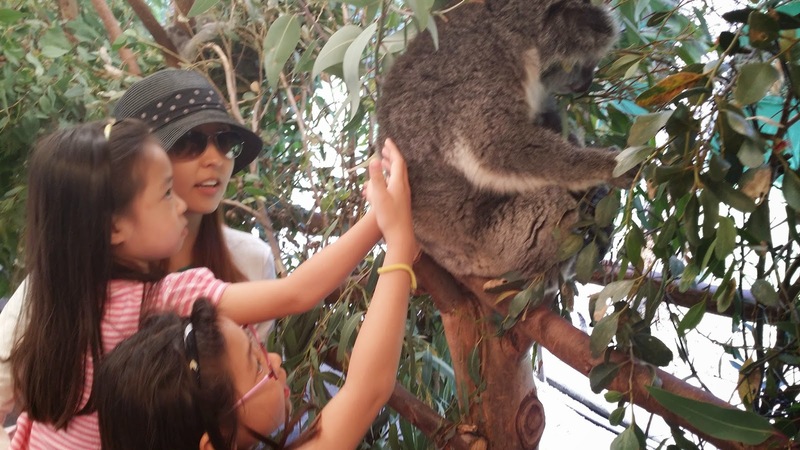 We dropped by the Koala interaction station which is open from 10 am to 1 pm. 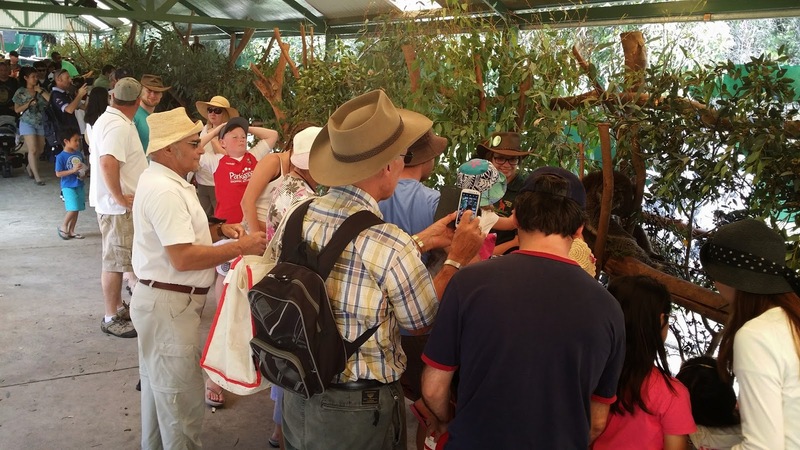 Before entering the enclosure, we were given a quick briefing on the animals and reminded to touch only designated koalas as indicated by their respective keepers. 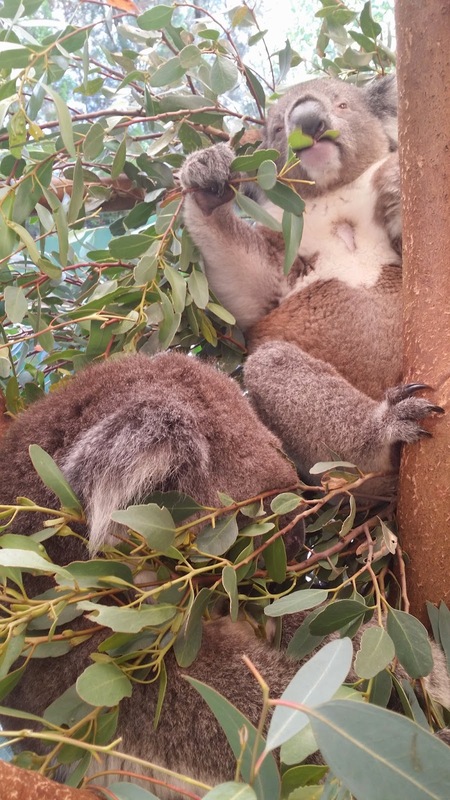 To keep their food clean, we should not touch the eucalyptus leaves, and we should only touch the koalas on their back using the smooth back of our hands so as not to startle them. Once inside, we took every opportunity to photograph these adorable and elusive creatures. Some of them were settled in odd sleeping positions, and others were munching away. From this close encounter, I appreciated what strong climbers the koalas were, as they scaled the branches effortlessly using their muscular limbs and sharp claws. We also learnt from the keepers that the koalas to be touched are rotated frequently to allow them to rest. Of course, the best deal would be that they sleep 20 hours a day and are only awake for 4 hours a day. We think we can get use to that kind of lifestyle. At about mid-day as we started to get hungry, we realized that we had not yet visited the kangaroo-walk-through enclosure, one of the highlights of our last visit here in 2011. It took us a short while to navigate to the entrance. 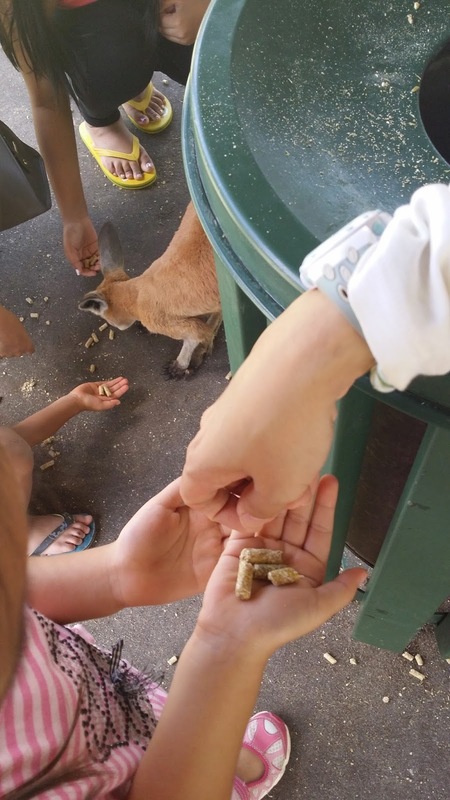 Once inside, we helped ourselves to handfuls of feed and approached the kangaroos. 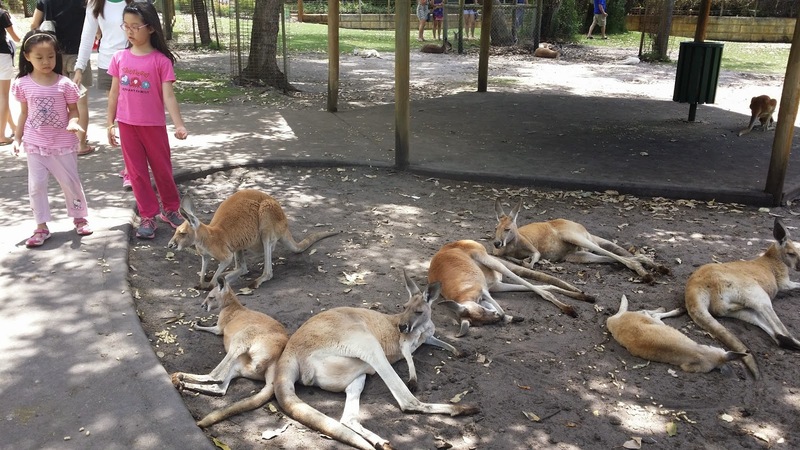 As many people had already been here and fed the kangaroos, the animals seemed satisfied and uninterested in eating from our hands. Many of them were lying on their sides, looking like they were getting ready to nap the afternoon away. Nevertheless, we managed to hand-feed a few kangaroos, and spend some time interacting and touching these gentle giants. There were bins situated in the enclosure where we could help ourselves to feed-pellets. Looks like these fellas have eaten their fill and taking their afternoon siesta. 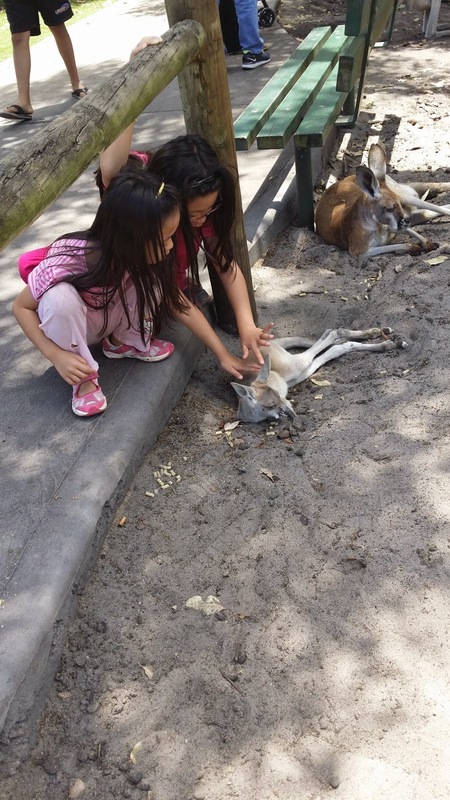 The kangaroos seemed so comfortable among visitors which allowed us to get up close to them. 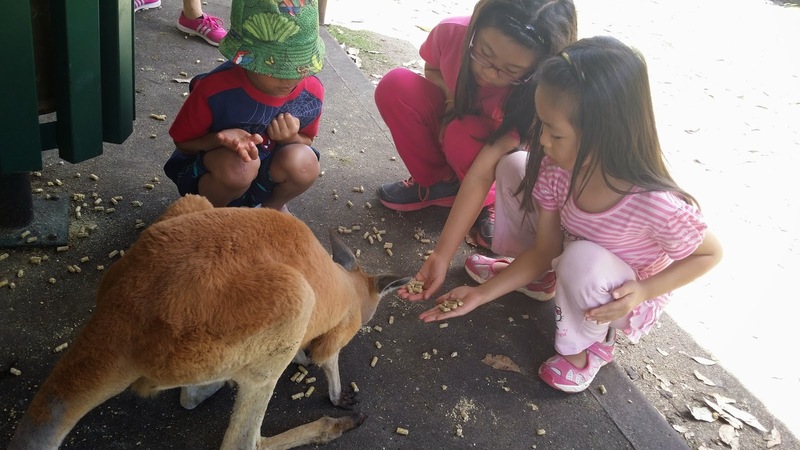 Even though many of the kangaroos were done with feeding and not interested in more food, they didn't mind letting us touch them while they rested. 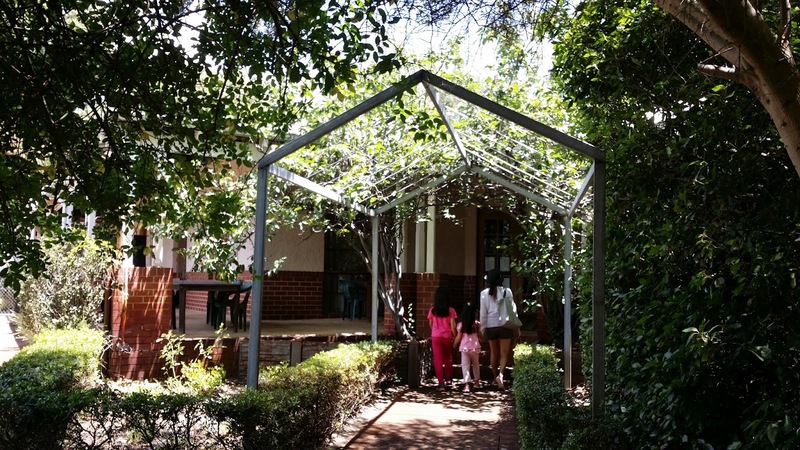 Swan Valley is well-known for family-oriented activities, wines, confectionaries and gourmet food. 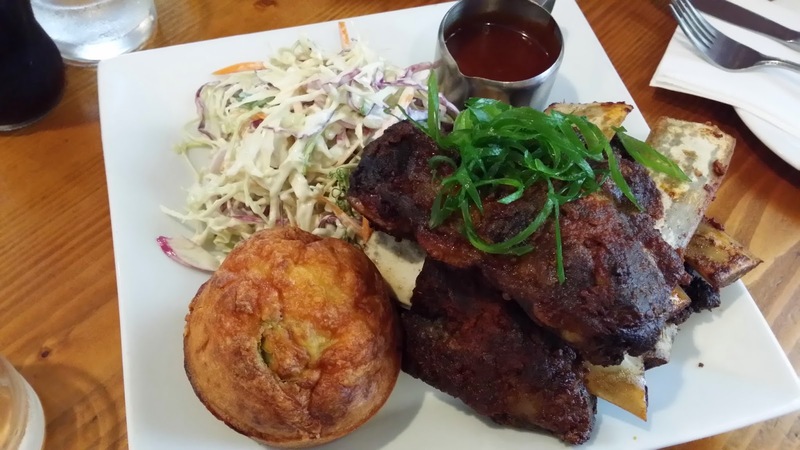 We decided to drive around and see what caught the attention to help us decide where to stop for lunch. 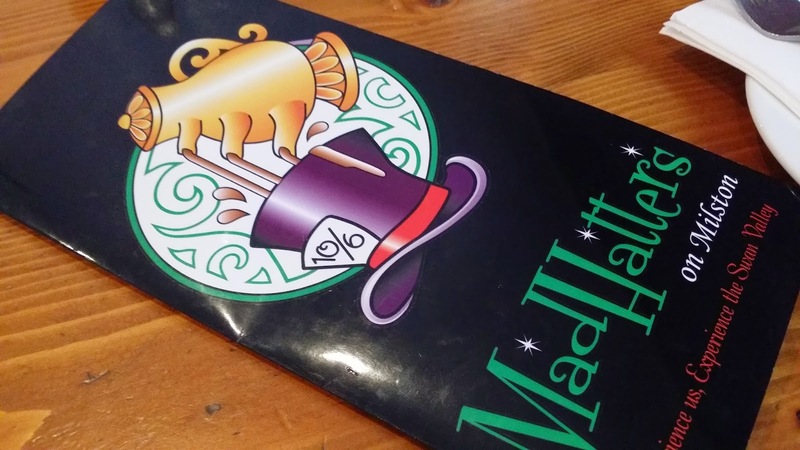 After a couple of stops, we settled on Madhatter’s on Milston, a cosy restaurant with rave reviews for their food and service. 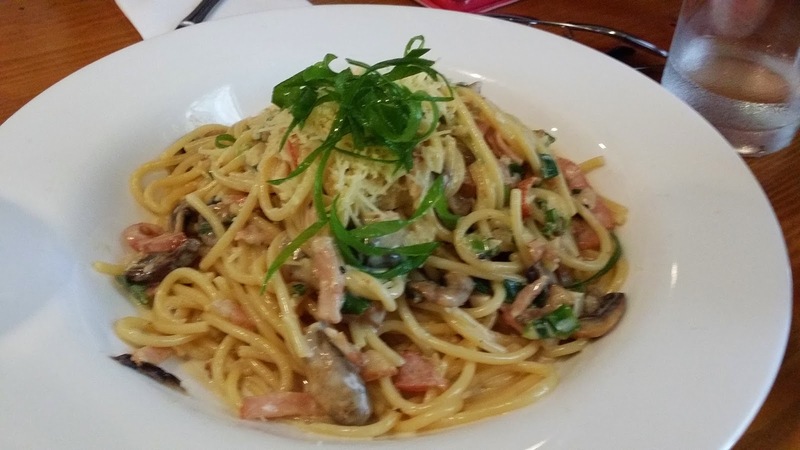 The portions were generous and we shared BBQ Pork Ribs, a pasta and some calamari rings, along with cold drinks to cool off from the heat. After lunch, we decided to pop by the Mondo Nougat and Morish Nuts, two confectionaries located at the same building not far from where we had lunch. 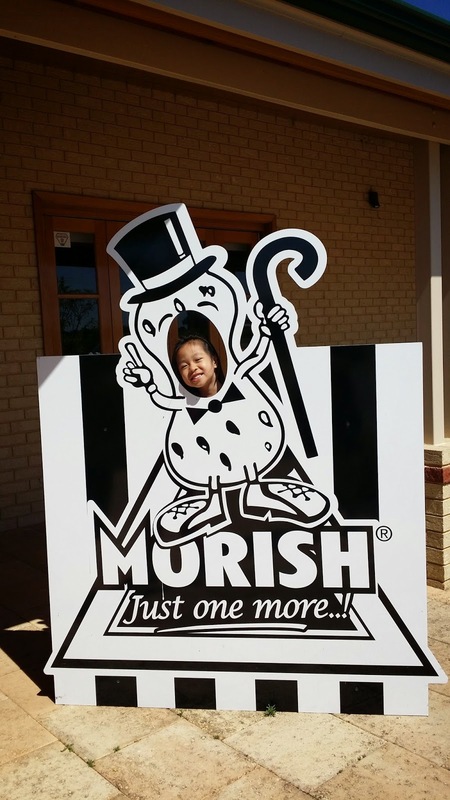 The nougat confectionary was closed for the day, and we visited Morish Nuts for an extensive tasting experience. Among the products sold here at factory prices were both sweet and savoury processed cashews, macadamias, almonds and peanuts. They factory also sold popcorn, and a combination of macadamia nuts and popcorn in slabs of caramel, known simply as ‘Mac-Crunch’ was our favourite. We took back a family sized portion with us and decided that these would make nice gifts for loved-ones back home. 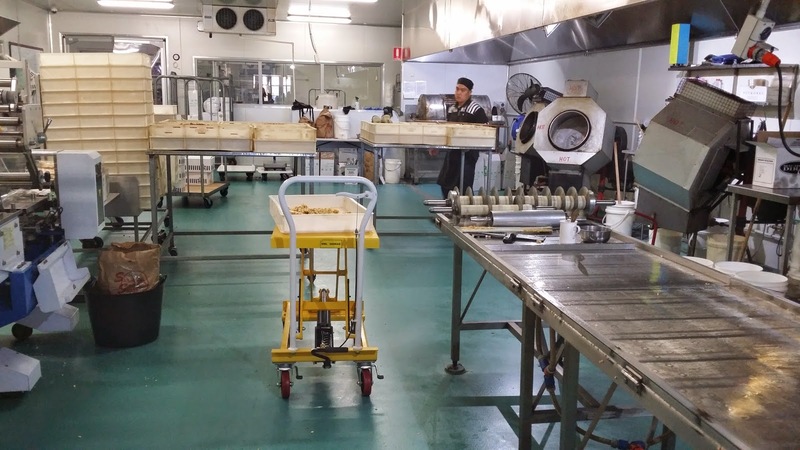 The processing plant where nuts are turned into mouth-watering treats. We made our way back to our accommodation after stopping by the shopping centre to get some take-away dinner and snacks to end another day of exploration. Our days in Perth are generally shorter as we packed less itinerary into each day. But that translates to longer family dinners and more quality time around the dining table each evening, something we found to be meaningful and looked forward to each day.